Anyways, enough. 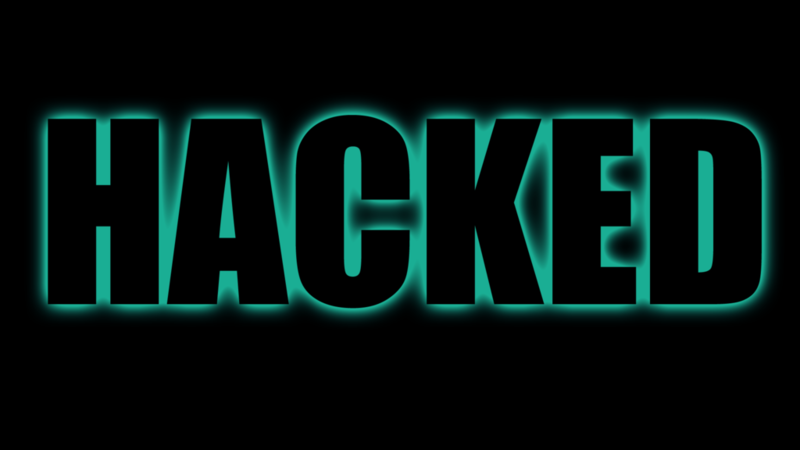 This is the our Guide to Not Getting Hacked. No one security plan is identical to any other. What sort of protections you take all depend on who may try to get into your accounts, or to read your messages. The bad news is that there are no silver bullets (sorry! ), but the good news is that most people have threat models in which they probably don’t have to live like a paranoid recluse to be reasonably safe online. Is your threat an ex who might want to go through your Facebook account? Then making sure they don’t know your password is a good place to start. (Don’t share critical passwords with people, no matter who they are; if we’re talking Netflix, make sure you never reuse that password elsewhere.) Are you trying to keep opportunistic doxers from pulling together your personal information—such as your birthday—which in turn can be used to find other details? Well, keeping an eye on what sort of stuff you publish on social media would be a good idea. And two-factor authentication (more on that below) would go a long way to thwarting more serious criminals. If you are an activist, a journalist, or otherwise have reason to fear government, state, or law enforcement actors want to hack or surveil you, the steps you must take to protect yourself are significantly different than if you’re trying to keep plans for a surprise party secret from your best friend. Overestimating your threat can be a problem too: if you start using obscure custom operating systems, virtual machines, or anything else technical when it’s really not necessary (or you don’t know how to use it), you’re probably wasting your time and might be putting yourself at risk. At best, even the most simple tasks might take a while longer; in a worst-case scenario, you might be lulling yourself into a false sense of security with services and hardware that you don’t need, while overlooking what actually matters to you and the actual threats you might be facing. Probably the most important and basic thing you can do to protect yourself is to update the software you use to its newest version. That means using an updated version of whatever operating system you’re using, and updating all your apps and software. It also means updating the firmware on your router, connected devices, and any other gadgets you use that can connect to the internet. Bear in mind that, on your computer, you don’t necessarily have to use the latest iteration of an operating system. In some cases, even slightly older versions of operating systems get security updates. (Unfortunately, this is no longer the case with Windows XP—stop using it!) What’s most important is that your OS is still receiving security updates, and that you’re applying them. So if you come away with one lesson from this guide is: update, update, update, or patch, patch, patch. Many common cyberattacks take advantage of flaws in outdated software such as old web browsers, PDF readers, or spreadsheet and word-processing tools. By keeping everything up to date, you have a way lower chance of becoming a victim of malware, because responsible manufacturers and software developers quickly patch their products after new hacks are seen in the wild. We all have too many passwords to remember, which is why some people just reuse the same ones over and over. Reusing passwords is bad because if, for example, a hacker gets control of your Netflix or Spotify password, they can then use it to get into your ridesharing or bank account to drain your credit card. Even though our brains aren’t actually that bad at remembering passwords, it’s almost impossible to remember dozens of unique, strong passwords. Once you have that you can use unique passwords made of a lot of characters for everything else, as long as you create them with a password manager and never reuse them. The master password is better as a passphrase because it’s easier to memorize, and the other passwords don’t need to be memorized because the manager will remember them. Intuitively, you might think it’s unwise to store your passwords on your computer or with a third party password manager. What if a hacker gets in? Surely it’s better that I’m keeping them all in my head? Well, not really: The risk of a crook reusing a shared password that has been stolen from somewhere else is far greater than some sophisticated hacker independently targeting your database of passwords. For example, if you used the same password across different websites, and that password was stolen in the massive Yahoo! hacks (which included 3 billion people), it could easily be reused on your Gmail, Uber, Facebook, and other websites. Some password managers store your passwords encrypted in the cloud, so even if the company gets hacked, your passwords will be safe. For example, the password manager LastPass has been hacked at least twice, but no actual passwords were stolen because the company stored them securely. LastPass remains a recommended password manager despite those incidents. Again, it’s all about understanding your own threat model. So, please, use one of the many password managers out there, such as 1Password, LastPass, or KeePass. there’s no reason not to do it. It will make you—and the rest of us!—safer, and it’ll even make your life easier. And if your employer asks you to change passwords periodically in the name of security, please tell them that’s a terrible idea. If you use a password manager, two-factor authentication (see below), and have unique strong passwords for every account there’s no need to change them all the time—unless there’s a breach on the backend or your password is stolen somehow. Having unique, strong passwords is a great first step, but even those can be stolen. So for your most important accounts (think your email, your Facebook, Twitter accounts, your banking or financial accounts) you should add an extra layer of protection known as two-factor (or two-step or 2FA) authentication. A lot of services these days offer two-factor, so it doesn’t hurt to turn it on in as many places as you can. See all the services that offer 2FA at twofactorauth.org. By enabling two-factor you’ll need something more than just your password to log into those accounts. Usually, it’s a numerical code sent to your cellphone via text messages, or it can be a code created by a specialized app (which is great if your cellphone doesn’t have coverage at the time you’re logging in), or a small, physical token like a USB key (sometimes called a U2F security key or YubiKey, named after the most popular brand). There’s been a lot of discussion in the last year about whether text messages can be considered a safe “second factor.” Activist Deray McKesson’s phone number was hijacked, meaning hackers could then have the extra security codes protecting accounts sent straight to them. And the National Institute of Standards and Technology (NIST), a part of the US government that writes guidelines on rules and measurements, including security, recently discouraged the use of SMS-based 2FA. The attack on Deray was made possible by “social engineering.” In this case, a customer service rep was tricked by a criminal into making Deray vulnerable. The attack involved getting his phone company to issue a new SIM card to the attackers, allowing them to take over his phone number. That means when they used his first factor (the password) to login to his account, the second factor code was sent directly to them. This is an increasingly common hack. It’s hard to defend against an attack like that, and it’s a sad truth that there is no form of perfect security. But there are steps you can take to make these attacks harder, and we detail them below, in the mobile security section. SMS-based two-factor can be gamed, and it’s also possible to leverage vulnerabilities in the telecommunications infrastructure that carries our conversations or to use what’s known as an IMSI-catcher, otherwise known as a Stingray, to sweep up your cellphone communications, including your verification texts. We don’t write this to scare you, it’s just worth noting that while all forms of two-factor authentication are better than nothing, you should use an authentication app or better yet a physical key if at all possible. You should, if the website allows it, use another 2FA option that isn’t SMS-based, such as an authentication app on your smartphone (for example, Google Authenticator, DUO Mobile, or Authy), or a physical token. If that option is available to you, it’s great idea to use it.